Wrapsitry.com is home to the art of gift wrapping, stationery products and craft workshops. We had the opportunity to work closely with Wrapistry team on the website design and the web development approach for Wrapistry.com. 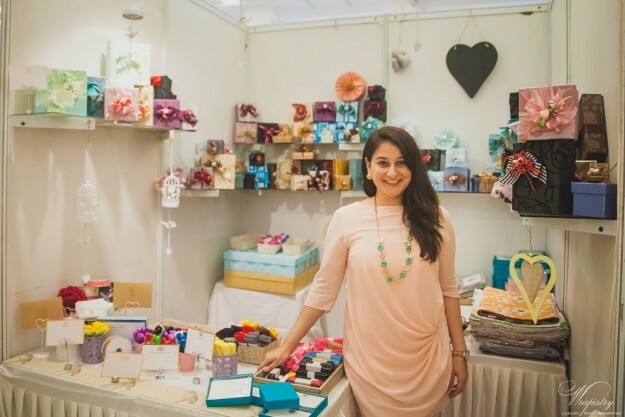 Developing an E-Commerce website is always exciting and one month after we launched the new website, we speak to Amruta Walvekar, the young and dynamic entrepreneur behind Wrapistry to see how things are going. Wrapistry is all about my love for paper and ink. I design stationery and wedding cards, gift wrap for special occasions and host craft workshops across the country. One month into your new website, how's it going? Its been great! I am so thrilled to finally have a new website which helps me showcase my work, sell my products to customers pan-india and allows my clients to book workshops instantly. 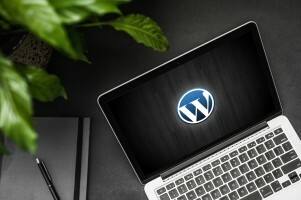 Has your new website changed the way you do business in any way? It surely has changed how I work. Since all of the information and the booking process is online, I have received fewer phone calls and emails letting me focus more of my time on growing my business. The easiest part though is where my clients to buy products or book workshops and pay for them in real-time. Have you had any prior experience managing websites? How has it been managing the website through the backend we built for you? The backend CMS is built beautifully. Clear and easy to use. I make changes on the website even when I am on the go, simply by using my smart phone, that's how simple it has been in the last one month. Have any aspects of your website made your life easier? Prior to my website, workshop bookings and product sales were via mail order or offline and we had to manually send out payment receipts and confirmations which was very time consuming. My website has made things alot easier now with online payments and automated invoicing in place. I have received endless compliments on how fantastic the website looks. Returning clients have expressed relief to see they can now shop and book workshops online. With the payment gateway being in place do you still see a lot of clients making off-line payments to you? No, actually I have had only a few clients who wanted to make offline payments. Trust is a major factor while shopping online in India and Social media is the heartbeat of most business across the world. I had built that trust over the last five years with a strong Facebook page (92,000+ followers) and presence across major metros in India since 2011. So when we launched the website, the payment gateway was a success. What would be your advice to entrepreneurs and small businesses looking to venture into the E-Commerce space? The online space in India has matured so much in the last 5-6 years and the first instinct is to rush the launch of a website, I would say do a little ground work first. Building an E-Commerce website requires a lot of time and effort, especially if you want to build a fantastic one. The two very important factors here to consider: Photos - A good photographer will allow your customers to ‘experience’ your products online and make your website attractive, this investment is non negotiable. Secondly, you will find endless inexpensive options if you wish to build your E-Commerce website, however, it may not be such a wise thing to do. Find a team who has a solid experience in building websites and in depth knowledge in maintaining them as well, you need to be thinking years down the road, not months. A website is the face of your company and should be a substantial investment. Lastly, how is your working experience been with the Brand Catalyst Media team. It has been fantastic! It has taken me a lot of time to find someone who could accomplish what I needed for my website. I have to say it was really worth the wait. I think we should always try to partner with people who are not just passionate about their work but absolutely love what they do. This is probably the main reason why it has been great working with Team BCM. From day one, they had a genuine interest in my work and the concept of Wrapistry. They took the time to grasp my requirements and built a good understanding of what I was trying to achieve; a clean and elegant design. They have build an efficient management system for me which is extremely easy to update and has cut down my admin time drastically. They have walked me through every technical aspects of the website which I had no clue about. Using a Project Management tool, the team was proactive through the entire process of building the website giving me suitable options, constructive suggestions and answering my endless questions. The team does not only have the ability to stay on top of everything but also possesses in depth knowledge about website development and marketing which is crucial for clients venturing into a new eCommerce business. Their patience and professionalism have far exceeded my expectations and I cannot recommend them enough.